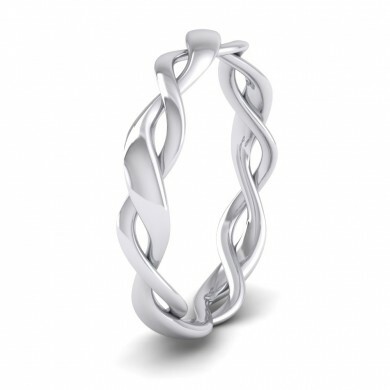 This wedding band comes with a highly polished finish. We can make this ring with a matte finish for free of charge, simply select this option after selecting a ring size. Handmade by us in our workshops using the finest quality solid 950 platinum (95%) to the highest standard and hallmarked by one of the UK Assay Offices. Free personalised engravings worth £20 each are available on all of our wedding rings, simply select this option after selecting a ring size. Need help with your ring size, click here to find your size now. Usually dispatched within 5-10 working days by next day delivery to most parts of the UK. If you are not completely satisfied with your purchase then you have 30 days within which to notify us of your intention to return it for refund or exchange. Click here to view our returns policy. Please note the international currency figures are for reference only and may not be accurate at the time payment is received.